Note: If you have selected "Personalize Card & Envelope," when you open the Personalization Tool, the Card will be labeled as "FRONT" and the Envelope will be labeled as "BACK." Standard Tools are used to add elements to your design. 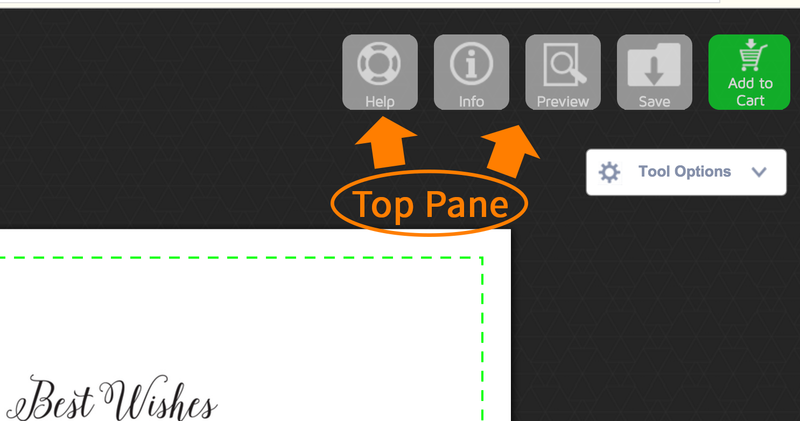 You can add text and images by selecting these tools on the left panel menu. Select this tool to add text to your design. Once you click on this button, cursor and text box will appear on center of canvas. You can type the text and change formatting using text toolbar (that appears on the right side of design as soon as you select the text tool). Font, color, size, position, and other design elements can be modified using the text toolbar. To delete a text box you have added, click on the text box (the four corners will change to blue once clicked). Delete the text box using your delete key on your computer keypad. 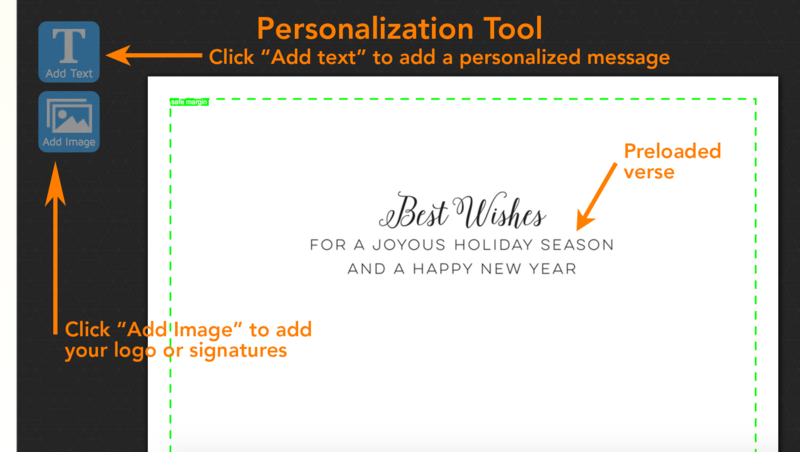 For card designs that have card personaliztion opens and show "Insert Your Custom Message," double click on the Text Box. It will direct you to a text field where you can type your message. 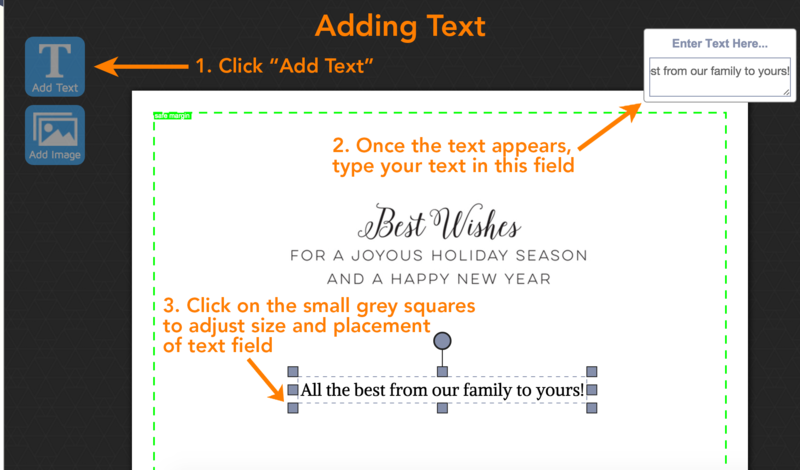 Click anywhere on the design screen to close the text field and see your message appear on the design. To delete an existing text box, click on the text box (the four corners will change to blue once clicked). Delete the text box using your delete key on your computer keypad. Select this tool to add image to canvas. Once you click on this button, an image library pane will slide down at the top of the design page. This tool will allow you to add images that are saved on your computer or device. 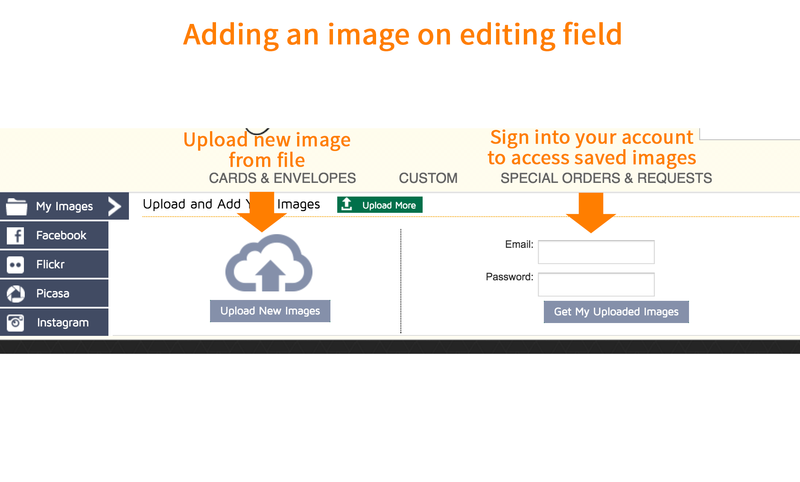 - If you are a returning customer and are logged in to your account, you can access saved images by clicking "Get My Uploaded Images." Click into the Image box on your card design. Then select which image you want to add by clicking the green + sign on the image. An image formatting box will pop up. You can crop your image here. 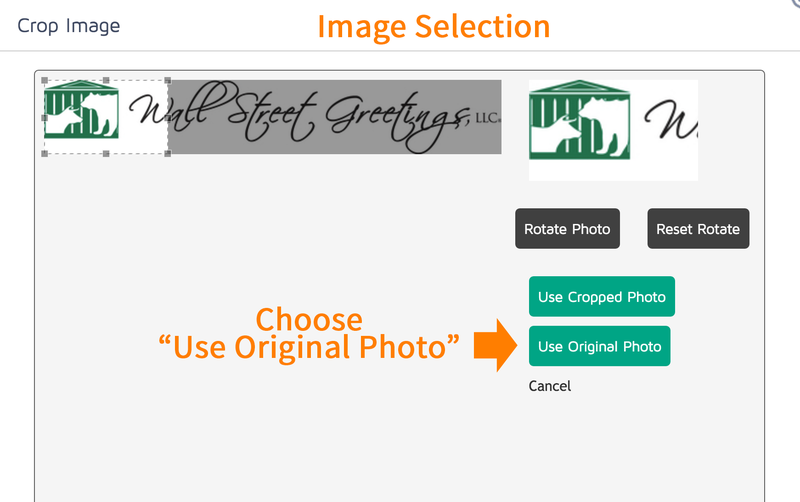 If your image is larger than the pre-set image field, click "Use Original Image". The design tool will resize the image to fit in the field. 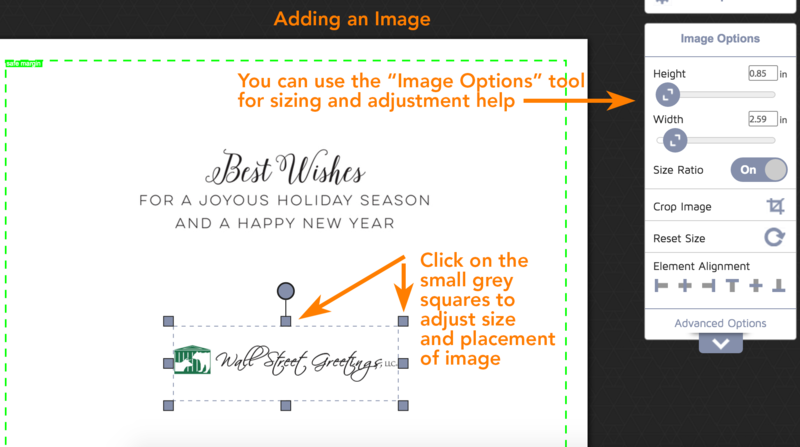 Once in the card design, stretching, shrinking, or enlarging the image will not affect its proportions. The image tool will rescale it proportionately. You can open help page using this option. It will bring you to this page.